We want to raise awareness through art and culture, science and research, training and advanced training of how the many facets of design influence every aspect of our lives, and to inspire people accordingly. In doing so, we focus on professional education, practical information and on a lively transfer of knowledge. We impart suitable content and skills through multipliers and educators. "Design" is seriously under-represented as an independent educational subject compared to other subjects and is generally integrated into art lessons. Yet the interdisciplinary spectrum of design creates ideal prerequisites for developing creative potential and for familiarisation with new occupational and professional fields for tertiary education or the handicrafts. 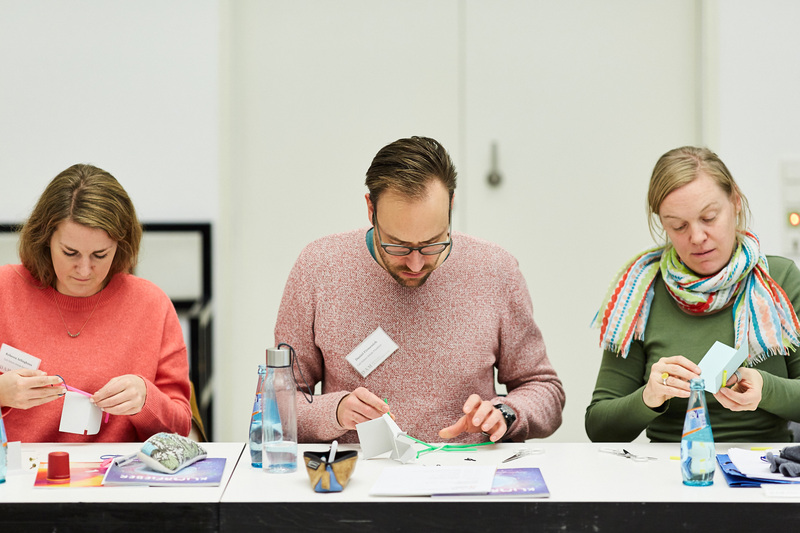 The recognised advanced training programmes for teachers are developed in cooperation with experts and are delivered at venues relevant for design such as museums. We would be happy to advise you and to provide you with information! 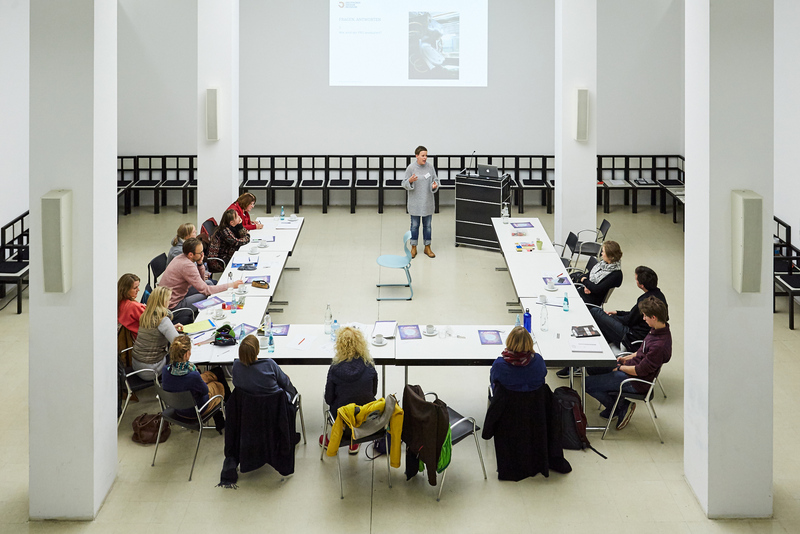 The German Design Museum Foundation initiates and also facilitates new knowledge transfer through collaboration with academics and researchers. This initiative is kicked off by the evaluation of our design workshops in schools, each and every one of which is evaluated consistently using questionnaires. Students and teachers answer questions in this feedback analysis. The detailed results are continuously incorporated into the advanced training. A scientific study focusing on design education is to be carried out as part of a new funding project. Our cultural and education initiative will be implemented through interdisciplinary design workshops in order to promote aesthetic education and creative skills for students of all age groups at all types of schools nationwide. 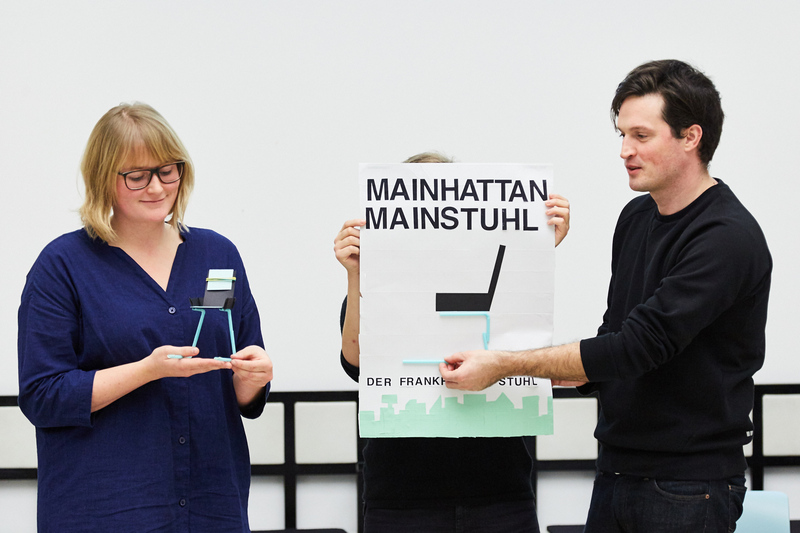 To this end, designers, foundation experts, teachers and students form a project team. The aesthetic-didactical approach and the individual theme in question are coordinated based on age, the type of school, the current learning content of the (project) subjects and the learning interest or participants' developmental potential. All students have the opportunity to learn new content and to gather new experience in their own authentic learning context. The workshops are held locally and facilitate research without third-party involvement, such as an excursion to a museum. A learning-based approach combining design theory with the development of participants' own ideas and their implementation leads to a practise-oriented focus that enables creative and cognitive abilities to be measured. The modular character enables the process sequence and the partial and overall results of the developmental objectives to be observed. Expanded modules or annual projects facilitate long-term observation series, allowing projects carried out on the same subjects to be compared. "Discover Design" provides a sound basis for developing new teaching methods for imparting the theory and practise of design. Our aim is to implement academic studies and to forge collaborations with a view to incorporating design into curricula as an independent subject in future. 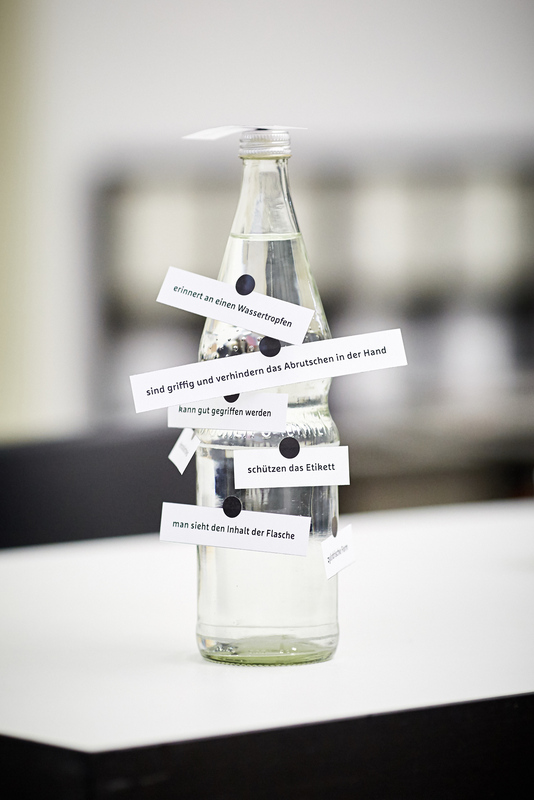 Through further training measures for educators and teachers the German Design Museum Foundation is making a contribution towards embedding the interdisciplinary subject of design within the school education system on a firmer basis: consciously taught as an interdisciplinary subject and not just as art. Know-how and knowledge of design and decision-making processes in design also stimulate subjects in the fields of natural science, sociology and the social sciences. We work in cooperation with government ministries, colleges, universities, and numerous educational institutions with the aim of establishing design as a subject in the curriculum. We offer various suitable key topics in order to provide support for teachers interested in this in the form of accredited further training which is also recognised by the respective national departments of education. There is also the opportunity to develop further training measures for groups on an individual basis. The focus of the one-day further training course is on imparting knowledge about current design themes which are presented by a professional designer. Existing knowledge is updated or expanded. Design theory-related content and practical exercises are prepared in such a way that they can easily be transferred to the teaching. The project "Discover Design" is a valuable contribution to the aesthetic education of young people. I am very pleased that a unique nationwide programme was created for schools through the innovative idea of the German Design Museum Foundation, and that we as the city of Frankfurt have a pioneering role in bringing it about. 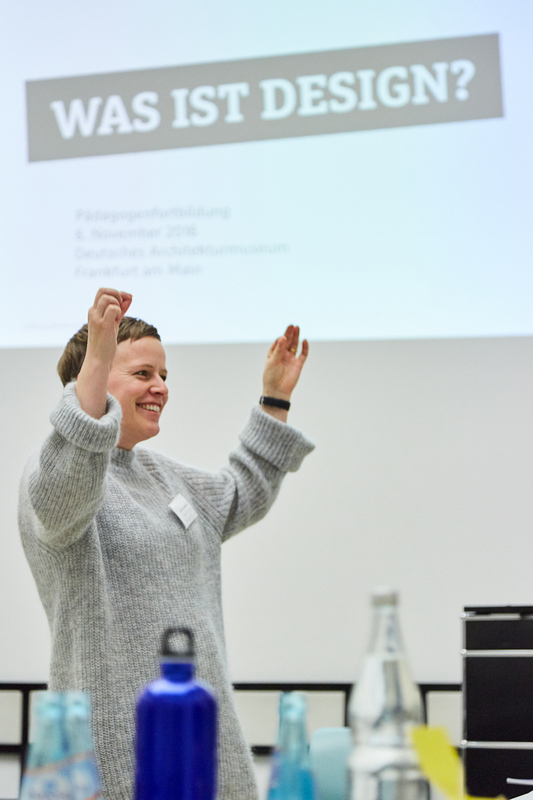 It is my wish that many schools throughout Germany make use of the exemplary programme "Discover Design" and that several other supporters will become part of this great, forward-looking initiative.